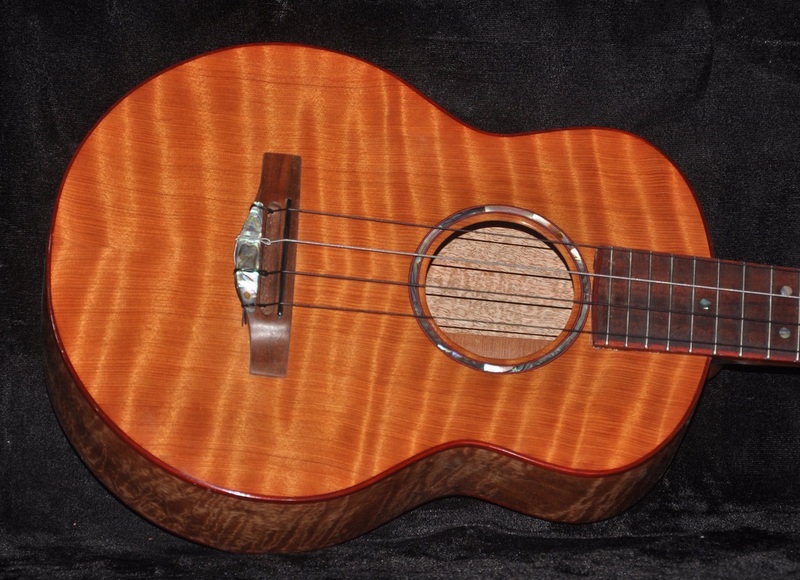 This is a new tenor size ukulele. 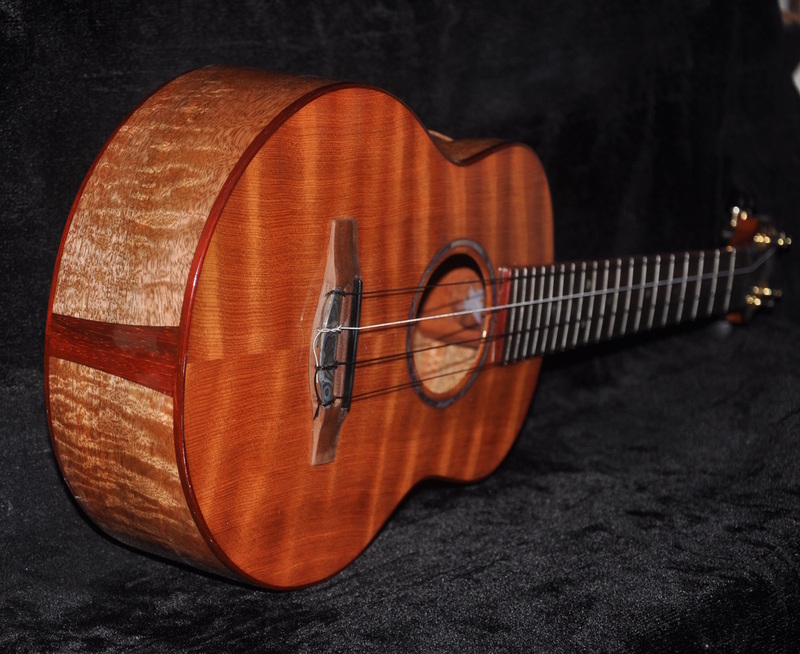 I completed this ukulele for an exhibit that ran through the month of Oct. 2016 and have been playing it for the last couple of months. It is in excellent shape. Easy to play, sounds good, good volume. 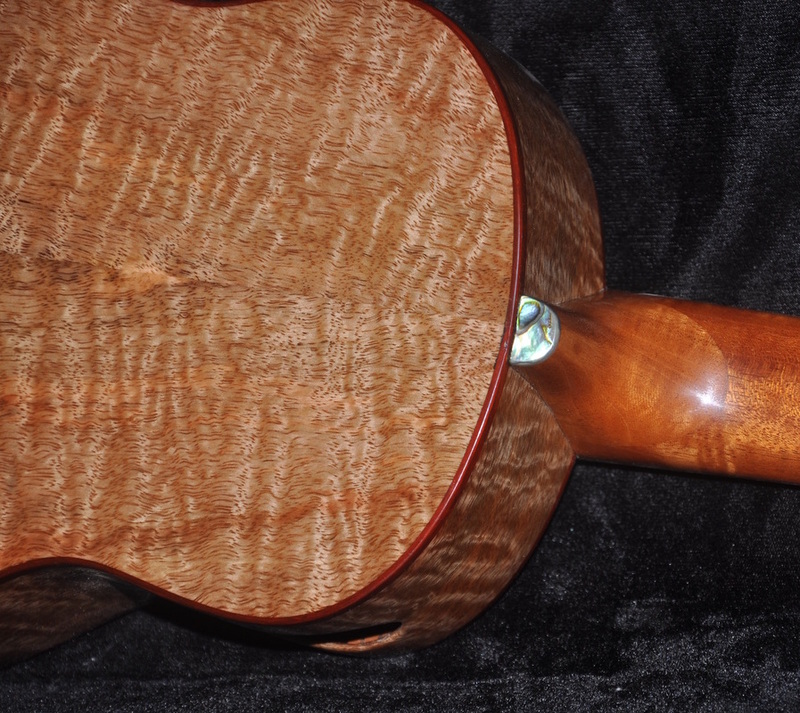 Curly mango back and sides, curly redwood top, Hawaiian milo wood fretboard, bridge, and headcap, mahogany neck, cocobolo binding, mother-of pearl, paua shell, and recon stone inlay. All inlay is handout and inlaid by me. 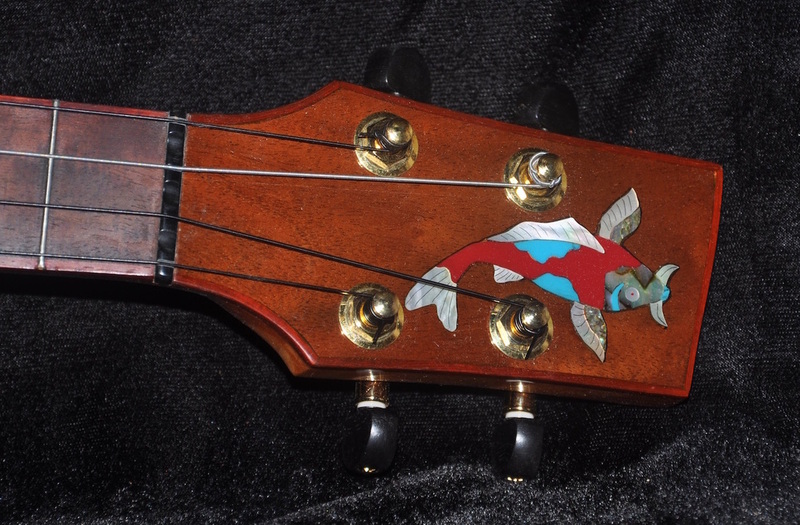 The koi on the head is a combination of all the different inlay materials. 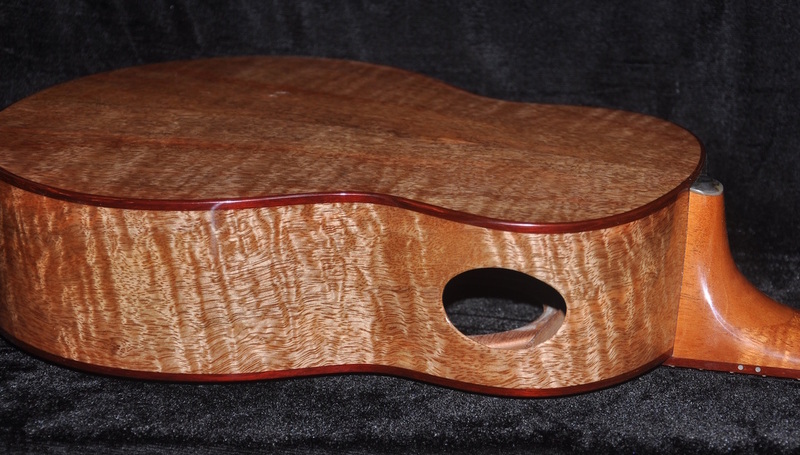 Fretboard is radiused and bound with cocobolo. Black micarta nut and saddle. Gold Grover tuners with ebony knobs to lighten weight. It has a side soundport and a lacquer finish.